Last week I attended the London Toy Fair 2019. Although it was my third time visiting the Toy Fair, 2019 was the 66th year of the fair! My inner child came out. If you follow me on Insta you would have seen my selfies with CBeebies’ Bing Bunny and Flop, as well as Pokemon’s Pikachu! Photo ops aside, I visited several toy stands to see what’s new in the industry for 2019. There were more than 250 exhibiting companies. The themes were: Licensed Toys, Technology, STEM, Collectables and Toys that encourage mindfulness. While on my walkabout, I discovered the Green Bean Collection. The cuddlies and books drew me to the stand, so I stopped and spoke briefly to Anita Frost, the brand founder. It was easy to love the lil green fella and the brand’s look and feel. Later, I contacted Green Bean Collection for an interview. This is Green Bean Collection’ s Anita Frost interview. TTT: Tell us a bit about yourself? AF: Hi, I am Anita Frost an Entrepreneur and Founder/Author of the Green Bean Collection. TTT: What was the catalyst for writing the Green Bean books? AF: I love being in business and I love kids so, there we have it. I love to write about Green Bean & Friends and take the children on adventures of everyday life in the eyes of a child. Also creating fun toys and books to educate children to enjoy reading, role play and learning in fun ways. TTT: Green Bean Books are produced at Green Bean Studios. What made you decide to self-publish? AF: Green Bean Collection is published by Movement Publishing in LA. I wanted to create a home e.g A mothership for the team, clients and customers. In which they could come over and be submerged into the great adventures of Green Bean & Friends. Green Bean Studios is in Trafford Park, Manchester across the road to the Trafford Center is where we have warehouse facilities, for wrapping and packing for orders. A shop for passing customers and a working studio for the team to support all thing awesome to support the business post its infant stages. TTT: How long did it take you from writing the first book to bringing it to market? AF: Due to having been in business for several years now I have a lot of transferable knowledge which allowed me to advance quickly. Within 12 months I had four paperbacks, three board books and three toys in the marketplace tried and tested. TTT: What was your favourite book as a child and why? I can not say I have a favourite just because I did not enjoy to read growing up. I think that’s because I never picked up books which made me want to read them. I am definitely a late bloomer when it came to reading. One book I can remember reading while at the library with my Mum and little brother was called ‘Freckle Juice’ which was from the Banana Book range. I can remember it literally made me laugh out loud and tear up with laughter. good times hey! TTT: What advice would you give to parents to inspire their sons to read more? AF: My son is 12 years old now and when he was in my tummy I read to him then, just for a few minutes per day. Once he was born every afternoon/evening I would read to him and as he grew he kept that going by now reading to himself before he goes to sleep most nights. I think it is important to have some quiet time in the day and surround your children with books let them lead in picking their own books/authors. I have let my son explore books to find what he most enjoys and we are still on that adventure now, many great books/author to discover. TTT: What has been the most rewarding experience to date during your story-time events? A parent got in touch to say Green Bean has inspired her child to start writing short stories at home the child is aged seven years. At the end of some stories, we sing a song related to the stories content, one little boy sang all by himself aged four years to a theatre room filled with guests. 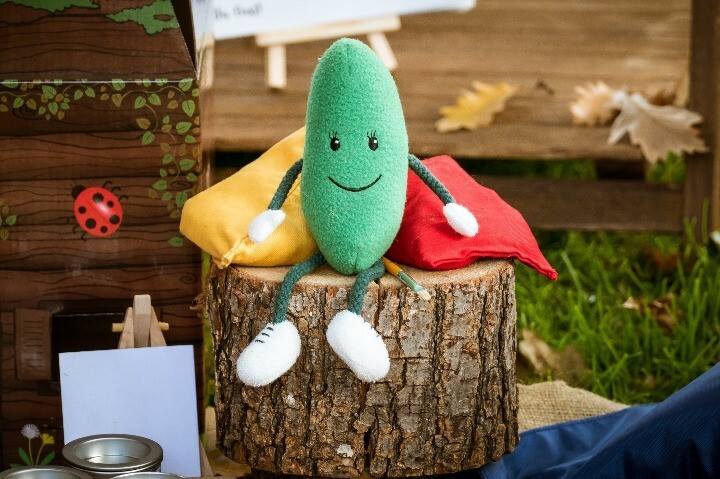 That the children do not want to go after storytime is finished they would quite happily stay and play with the toys of Green Bean & Friends for hours on. TTT: What would you like your legacy to be as a children’s book & toy creator? 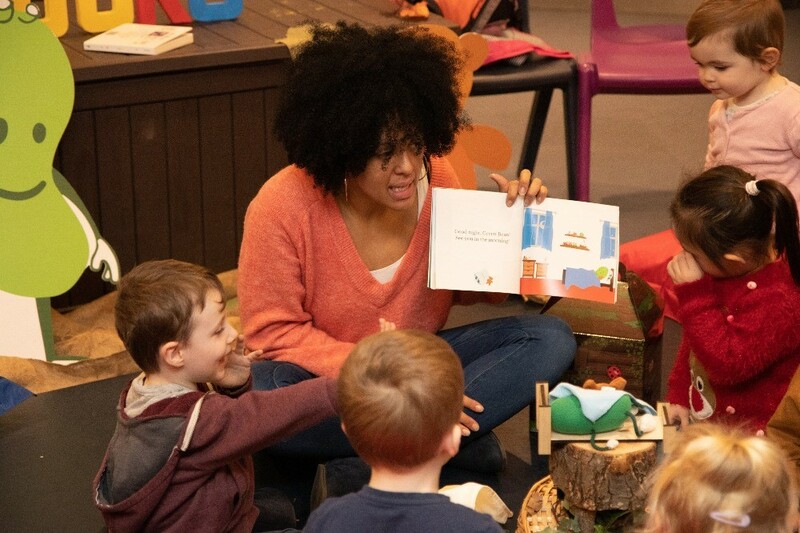 AF: To create a collection of characters which provide fun lifelong memories for children on a global scale, through books, toys, TV and much more. For further details about the Green Bean Collection visit the website. You can also find them on Instagram I hope you found Anita’s story as inspiring as I did. Have you read any of the Green Bean books to you little one? Which is their favourite.